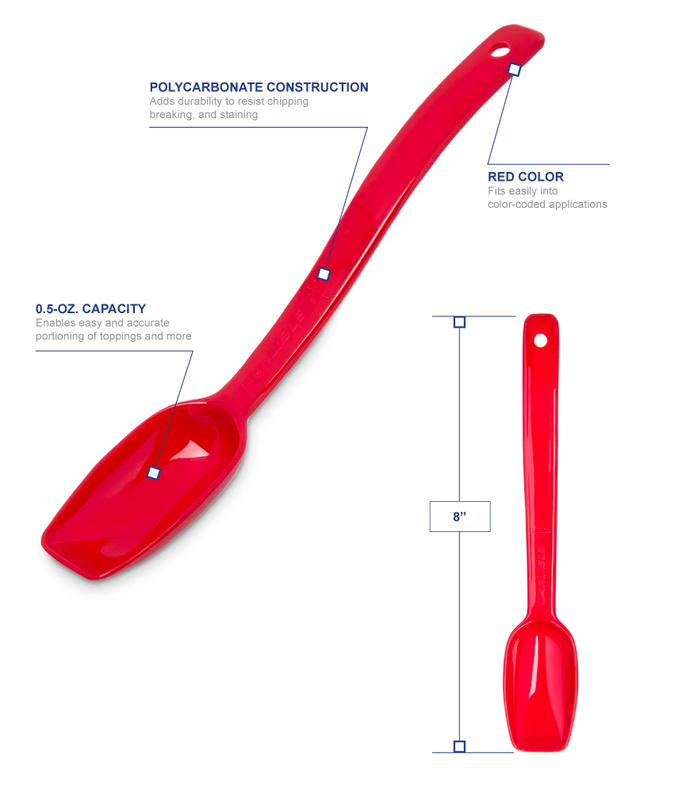 The Carlisle 446005 buffet spoon has a 0.5-ounce capacity, making it perfect for portioning salad, ice cream, and frozen yogurt toppings. Made of polycarbonate, it resists staining, scratching, and chipping, while the one-piece construction withstands heavy-duty use. It is safe to use in temperatures between -40 and 212 degrees Fahrenheit and is dishwasher safe. 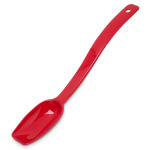 The red color of the Carlisle 446005 buffet spoon works well in color-coded areas.